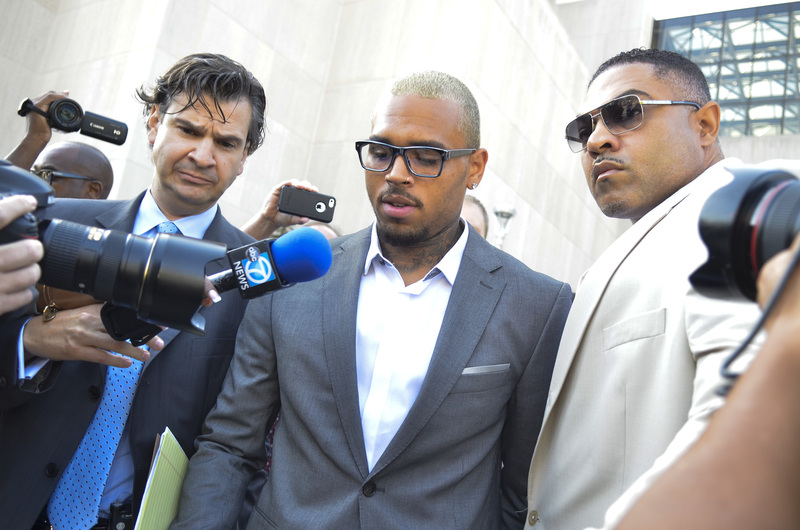 Chris Brown Admits to Being Out of Control But Has He Really Learned His Lesson? It seems like Chris Brown may have finally come to a realization that's been painfully clear to everyone who has observed his behavior from the sidelines for quite some time. In an interview with Billboard, Brown discussed a number of topics, including his upcoming album X, his thoughts on his supporters (otherwise known as Team Breezy), and he even revisited the subject of his relationship with Rihanna. But the most mature, self-aware statement came when Chris Brown said, "Maybe I was out of control." I'm sure no one will be handing out Person of the year Awards, but for someone who has earned himself a horrible reputation, he can't really afford for his actions to not measure up to his words.Due to Brown's constant involvement in activities that have nothing to do with his music, the public has come to anticipate his next eff up, and for a while it seemed like he was on a focused mission to exceed those expectations. However, since he was released from jail in June, a few recent actions on his part have hinted that he might be ready to take the less tumultuous road. On the plus side, Brown finally ended his ongoing beef with Drake, a gesture made official when photos circulated showing the two former foes in the studio together, following by Brown joining Drake for a skit at the ESPYs. He actually showed that his priorities were in order by focusing on his career and releasing some new music. But then, when Suge Knight was shot during Brown's unofficial pre-VMAs party, a negative spotlight shifted back in his direction even though he spoke out against the violence on Twitter.Brown recently agreed to a plea deal in his DC assault case, so hopefully he'll use this situation to spend his time more wisely and get back to working. That way the focus can switch back to being on his music instead of on him becoming involved in more irresponsible antics.